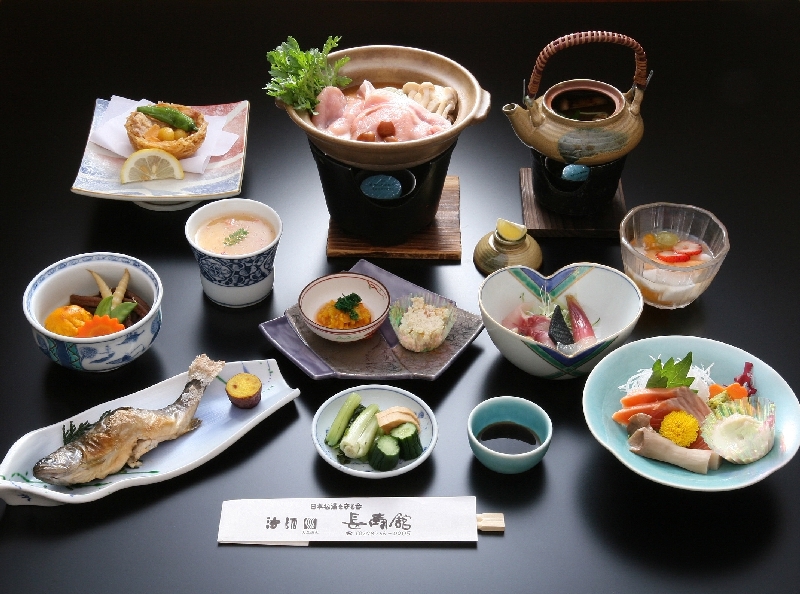 ◎The dishes use the high-quality local produce of Gunma Prefecture such as Akagi Beef, Haruna Pork, and Furai Chicken, which vary depending on the season. 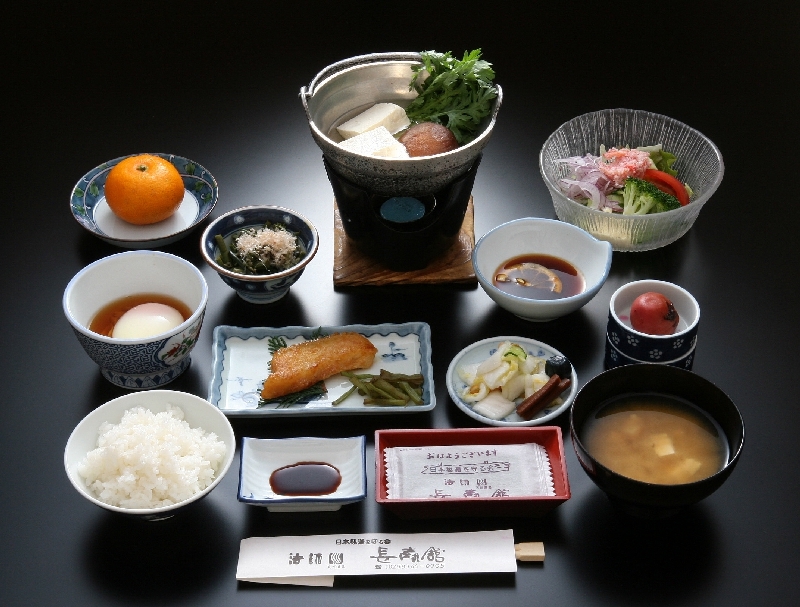 Much of the vegetables are also produced in the local town of Minakami or Gunma Prefecture, which are selected with a focus on safety and reliability. While not all foodstuffs provided at Chojukan have been produced in Gunma, we will continuously make efforts to provide locally produced ingredients. Because my family always lived in the city of Minami-Uonuma (former town of Shiozawa, Minami-Uonuma-gun) of Niigata Prefecture through generations, we serve 100% Koshihikari produced by Hoshi Onsen’s contract farmers in Uonuma, Niigata Prefecture for all breakfasts, lunches, and dinners. The water used in Chojukan is spring water collected from the most upstream area of the Hoshi River surrounded by Mother Nature of Mikuni Mountain Range. Tritium analysis suggests that rain water takes in minerals from the nature and wells up as spring water after about five years. A variety of high-quality sake selected personally by the current president of Chojukan, who is particularly fond of sake. 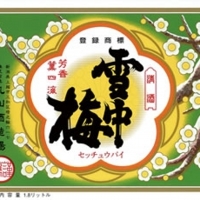 The sake product normally used is Shugetu Junmai Ginjo (Ginjo sake with no added alcohol), one of Gunma’s local sake products from the brewery that received the first prize at the National New Sake Exhibition. Select either Shugetu or San No Esshu for your warm sake. It is our recommend, original sake product. 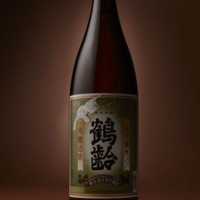 The sake is brewed by Tsuchida Honten, a brewer in Okutone totally dedicated to brewing, jointly with Echigo Toji. It is an exclusive product available only at Chojukan. Enjoy the Junmai Ginjo sake with a moderate scent and dryness. 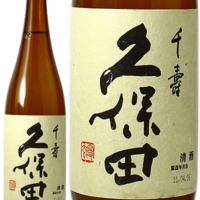 It is Junmai Ginjo sake with rich flavor, brewed by milling Yamada Nishiki, a type of rice used for the Daiginjo (top-quality Ginjo) class of sake, to 50% of weight and using Gunma Kaze Yeast. Enjoy the sake popular among sake lovers with balanced five flavors, which is refreshing when served cold, mild when served at room temperature, and flavorful when served warm. (300 ml bottle) It is in the refrigerator in your guest room. 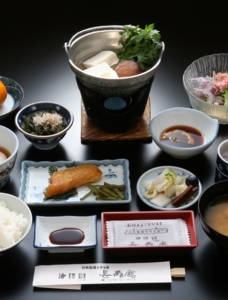 Senshuraku, the ingredient rice of Esshu, was a recommended variety of Niigata Prefecture in 1960. The late-growing rice requiring a longer farming period, however, was more susceptible to pests and stored in a seed storage for a long time while Koshihikari was increasingly popular in 1970. Senshuraku was restored when it was discovered by Asahi Shuzo Sake Brewing, which had been researching new sake products for a quarter of a century. Esshu having both a refreshing flavor and mild, rich flavor could not be produced without this ingredient rice. Enjoy a dish of Japanese char (iwasna) in season with Iwana Sake. 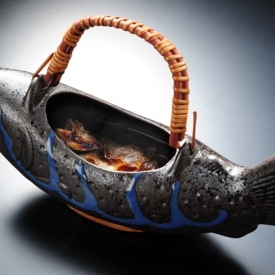 Pour some hot sake on the savory baked char, and you will have delicious fish, from which the fishy smell disappeared, leaving the right amount of salt and aroma giving flavor to the sake. Sake always enhances a hot spring experience. Enjoy our specially selected sake in one-go (180 ml.) Masu (a square wooden cup) after bathing or while having a dinner. 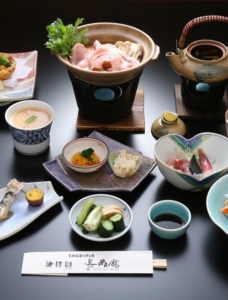 Each serving is available at 1,000 yen to 1,500 yen. 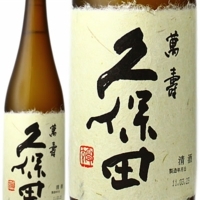 A dry sake using polished rice of the Daiginjo standard offering a refreshing crisp taste and an elegant aroma. Our most popular sake product. 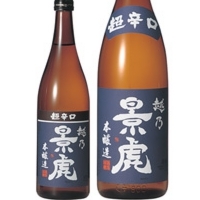 Koshi No Kanbai is a rare sake known only by some people. It goes down well like water, yet has a crisp and mild flavor. It has an aroma that feels like it has been sucked up from deep down the earth and a solid body. 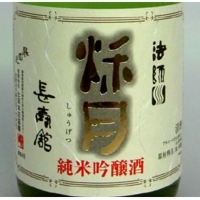 It is a Junmai sake that has a deep flavor in the aroma and smoothness pursuing the ease of drinking. 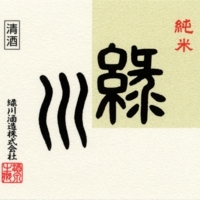 A special Honjozo sake to which the traditional techniques of Hakkaisan Ginjo brewery, a very well-known, high-quality Niigata sake. 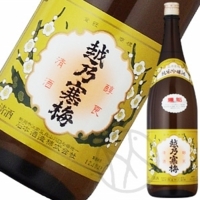 A high-quality dry sake that has been enhanced with the techniques of Echigo Toji, which a refreshing beverage having a rich taste in the dry flavor. 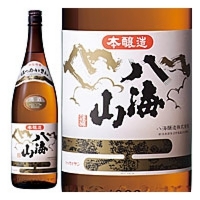 A smooth and rich-favored Honjozo, focusing on the good taste of rice and solid flavor A common drink in the snowy region Shiozawa, which can be enjoyed cold, warm, or hot. 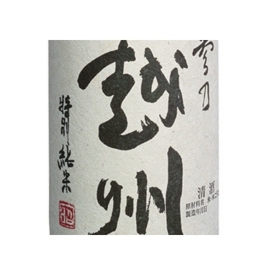 It is Junmai Ginjo sake with rich flavor, brewed by milling Yamada Nishiki, a type of rice used for the Daiginjo (top-quality Ginjo) class of sake, by 50% of weight and using Gunma Kaze Yeast.